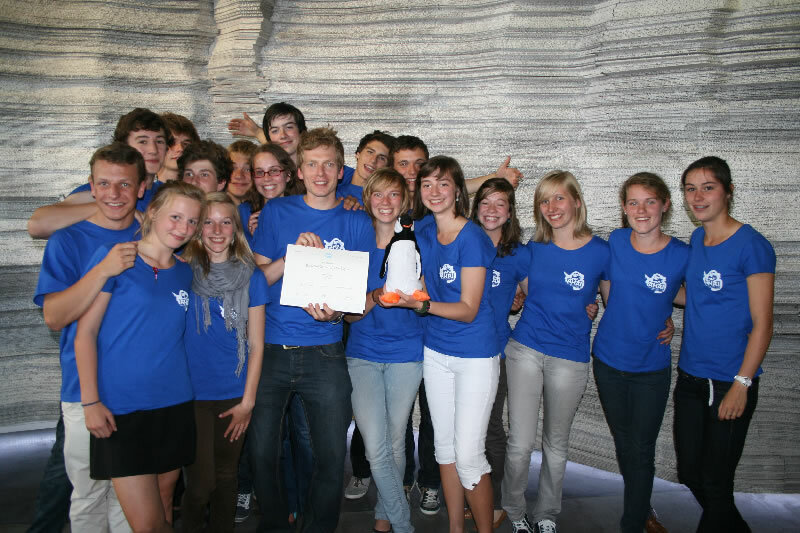 Leiepoort Deinze Campus Sint-Hendrik Wins the Polar Quest Contest! The winners of the Polar Quest contest. On Wednesday, May 18th, the AHA! project, led by Koen Meirlaen and his students from the Leiepoort Deinze Campus Sint-Hendrik became the final winners of the Polar Quest Contest. While the first part of the contest is now over, a next chapter will be written next year as Mr Meirlaen heads down to the Princess Elisabeth Station in Antarctica (PEA). The aim of the AHA! project is to link the scientific research conducted at PEA to analog projects at school. By conducting some observations themselves, the students should then better understand the impact of their behaviour on the environment and consequently adapt it. Out of 31 participants, three classes made it to the final round of Polar Quest and were given the task of drafting a project proposal on scientific research to be conducted at PEA. They all defended their projects ferociously in “Class Zero Emission” at the IPF. The jury was impressed by the creativity and motivation of the students and their teachers, and the time and effort each group put into their planning. After a moment of palpable excitement, the students of the Leiepoort Deinze Campus Sint-Hendrik jumped for joy as their name was announced. They will send their teacher to Antarctica next season and all received a 250€ voucher of AS Adventure. Completing the podium were the “SUNAPEAL” project of the Gemeentelijk Technisch Instituut van Londerzeel, in second place with the technologically advanced sun tracker they planned to test in Antarctica, and the Sint-Jozefinstituut van Essen with their interesting scientific project on the impact of UV radiation on climate change in third place. As a special prize for their efforts, teachers Wim Van Buggenhout and Karen Adriaenssen were both awarded an iPad by the IPF, while their students received a 150€ voucher of AS Adventure.